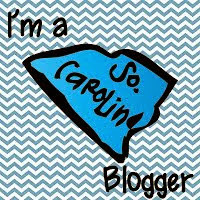 At this point in the school year, I am sure you are in survival mode by now... Just trying to make it to Christmas break! I wanted to share one of my favorite lessons with you that is perfect for using at the start of a school year or anytime throughout when students need a lesson on the difference between tattling and reporting. 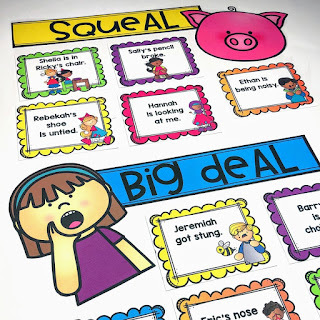 This lesson can come in handy when the classroom becomes more chaotic in anticipation for a break as well. 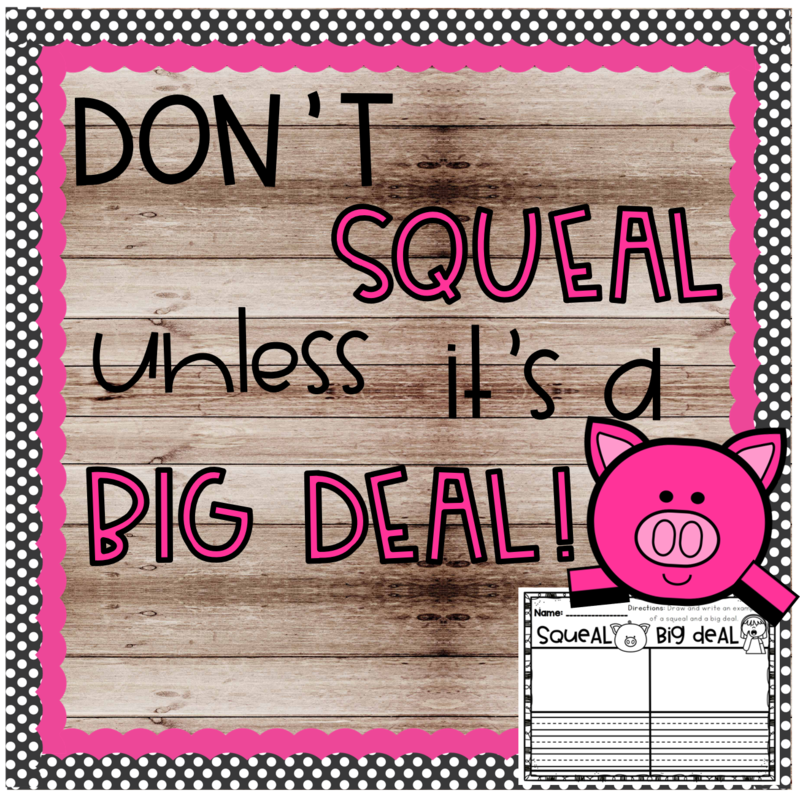 Have you read the story Don't Squeal Unless It's a Big Deal by Jeanie Franz Ranson? 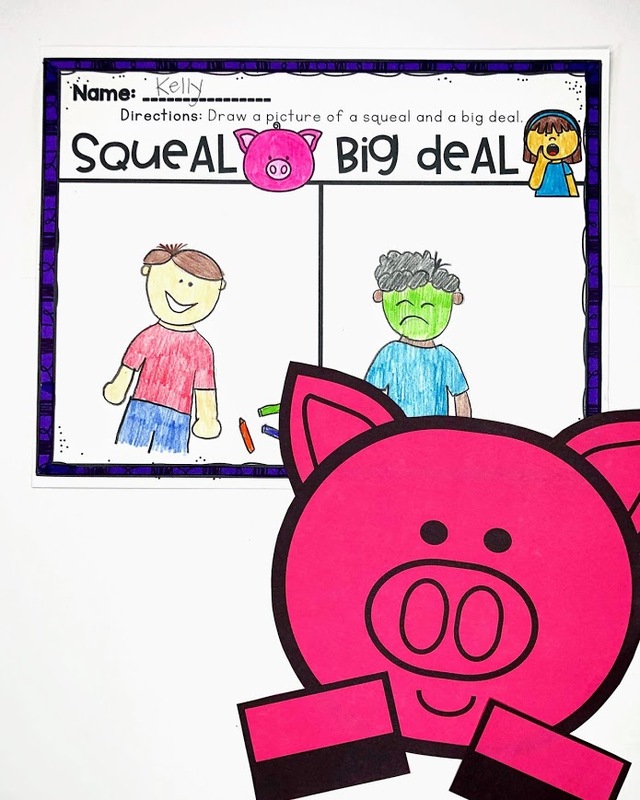 This is an adorable story that helps children understand when they need to talk to each other to work out a problem and when they need to call for a grown-up to help. 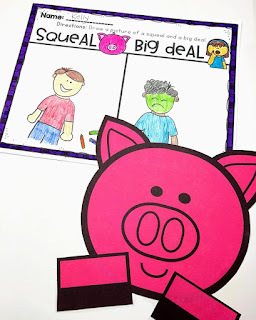 I love this story so much that I created a Don't Squeal Unless It's a Big Deal Unit in my shop that can be used after reading the story. First up, is a scenario sort. 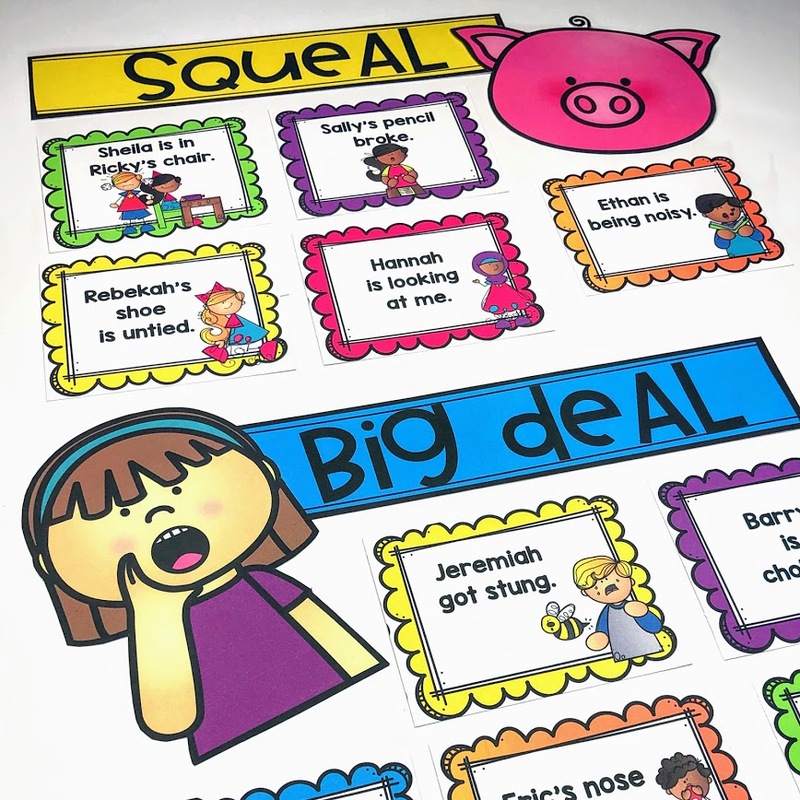 Students will sort different situations based on whether they are a "squeal" or a "big deal". 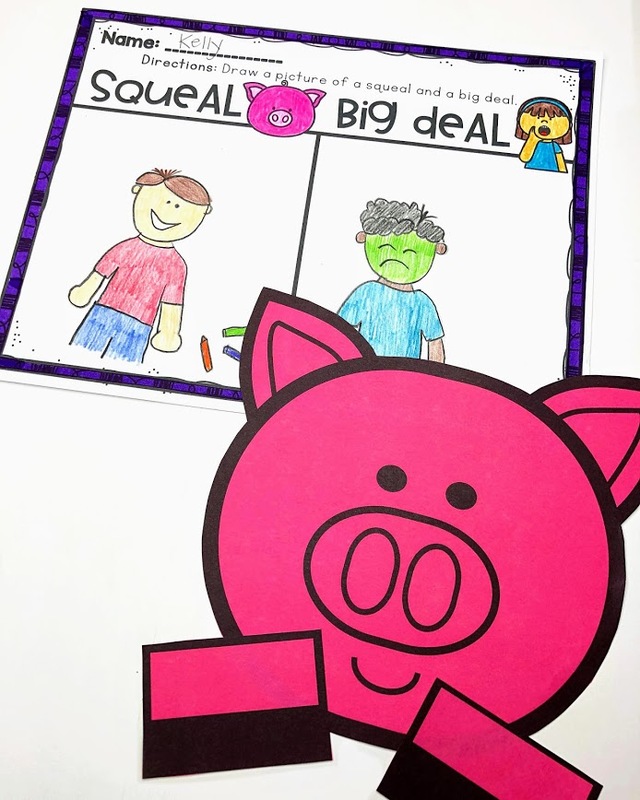 After discussing "Squeals" and "Big Deals" as a whole group. 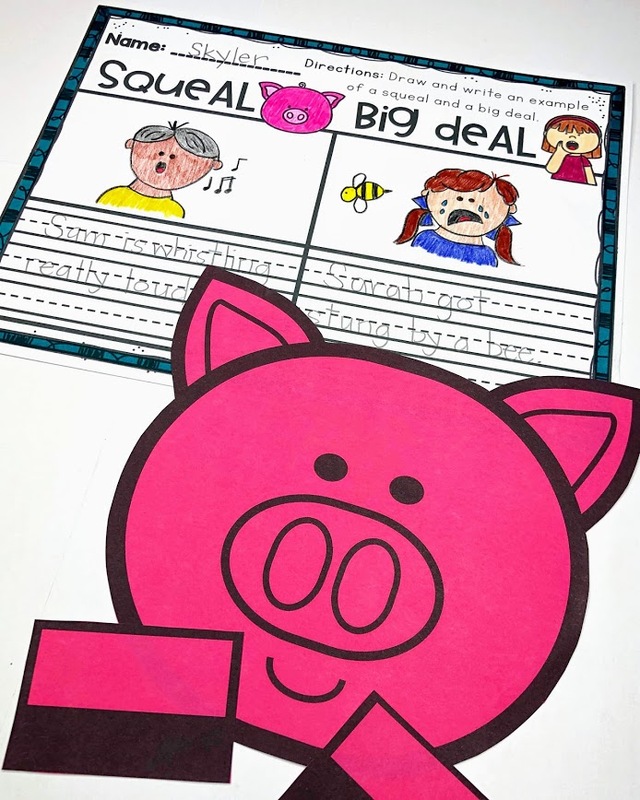 I have students respond through a craft and writing activity. 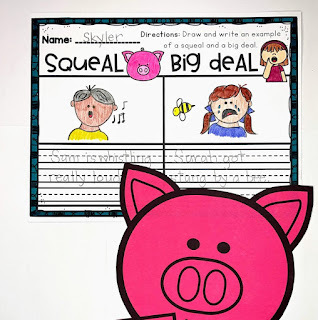 Students cut and paste a simple pig craft and then draw and/or write an example of a Squeal and a Big Deal. There are 4 different levels of writing pages included. After your students finish the craft and writing activity, I am sure you will want to display their work! 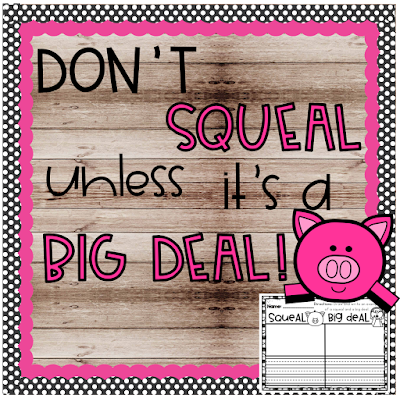 So I included letters for your bulletin board that read, Don't Squeal Unless It's a Big Deal! If you want to see more about what is included in this resource, click here.